Planning to Enjoy Thanksgiving | The Levin Law Firm - Philip Levin, Esq. As friends and family gather around the Thanksgiving table, we recognize how truly grateful we are. We are grateful we have such wonderful friends and family and that they could be with us to celebrate. We are grateful that our health is better than it could be. While we miss friends and family who could not be with us, we raise a glass in their honor and cherish the memories we are creating with those joining us. One of the reasons we can enjoy our time together is that we’ve prepared. The Thanksgiving gathering did not come together on its own. We have arranged time away from work or school. We may have travelled long distances to be together. We’ve prepared the main course, typically a turkey. Maybe we had to arise before daylight to start cooking. We’ve prepared our sides, such as sweet potatoes, and our desserts, such as pumpkin and pecan pies. We’ve thought of everything, right down to the real whipped cream for the pies. Sometimes it takes a little planning to make things go smoothly so you can enjoy the most important moments in life. Estate Planning really is no different. It’s important to do your planning so that things go smoothly when you need them. It’s important to plan so that when the time comes, your affairs are handled the way that you want them to be handled. When you’ve planned, you can focus on the moments in life meant to be cherished, the raucous Thanksgiving meal or the soft conversation by the convalescent bed. Those moments could be lost if the planning is not done ahead of time. Your assets would go via intestacy, a one-size-fits-all plan devised by your state legislature. So, your assets probably would not end up going to the people you want in the shares you want. Your “plan” would not consider the tax, creditor, divorce protection, or maturity issues your beneficiaries might have. In other words, even if your assets were going to whom you wanted, it is not likely they would be going the way you wanted. Your failure to plan could mean your assets would go unnecessarily to the beneficiaries’ creditors, divorcing spouses, or the government. 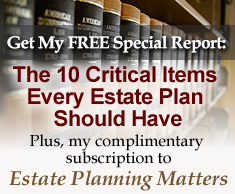 Your plan would not appoint the decision-makers you would want to handle your estate. The relative you didn’t even invite to Thanksgiving might end up in control of your assets. You would have no say regarding who would care for your minor children after your death. If you were to become incapacitated during life, you would need to go through a public proceeding to declare you incapacitated and then a judge you didn’t know would appoint someone you may not like and whom you did not select to make decisions for you. Finally, it would be much more likely that in the future the relative calm around the Thanksgiving table would be disrupted by discord caused by your failure to plan. Planning ahead is not easy, but it is the loving thing to do. 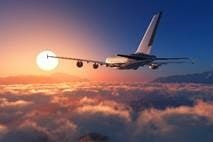 And, won’t you feel better knowing that things are taken care of, so you can relax and enjoy life’s special moments.